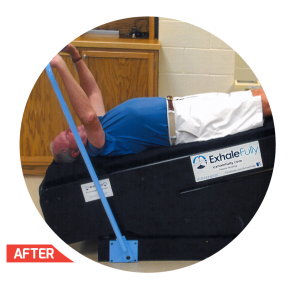 Exhale Fully, a North Carolina company, developed the Easy Breather Exercise Table to help patients with COPD improve their breathing. The device offers a gravity-powered approach to improve ventilation while helping to clean the lungs. The movement of the patient and table forces air out of the lungs, which is often difficult for patients with COPD, and improves breathing. In addition to easier breathing, the motion of gravity-powered ventilation helps lymphatic drainage in the arms and legs, improving circulation and reducing swelling. Alotech is the medical devices contract manufacturer for the Exhale Fully Easy Breather Exercise Table. Exhale Fully needed to market the Easy Breather Exercise Table as a viable tool and brand solution for their customers. People who needed it did not have the money, as it was an automated $15,000 bed. They needed to find a less expensive way to manufacture the bed, so they could meet a $1,000 retail price in the niche market they had identified. Alotech is the medical devices contract manufacturer for the Exhale Fully Easy Breather Exercise Table. Exhale Fully needed a trusted source and turned to Alotech. Meeting their need for cost and size, we were able to turn their automated system into a mechanical one that met specifications so anyone could use it manually. Although the prototype had to be completely revised, we provided thorough design expertise, leadership, support and ingenuity, which gave Exhale Fully and their team the confidence and assurance their product would be ready to present and market. Most importantly, changing it from automatic to manual reduced the cost of manufacturing enough to meet the $1,000 price point needed. The burdens of manufacturing, fulfillment, quality control and customer satisfaction were taken off of Exhale Fully and their team. Alotech provided the opportunity for Exhale Fully and their team to focus on entering a niche market. The Easy Breather Exercise Table was taken to another level, making a manual process easy to use for the customer at over 70% in savings. 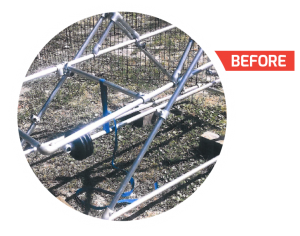 The turn around time was only 6 months for a complete, marketable prototype that met all the needs of the niche market, including cost, size and proper angles. Exhale Fully Video Case Study – What makes Alotech unique? Exhale Fully Video Case Study – Why Alotech? Exhale Fully Video Case Study – What was most notable?